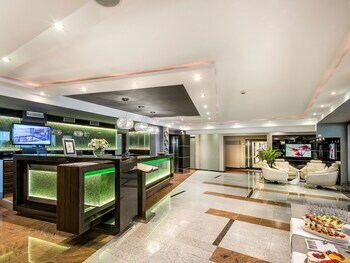 Located in Debniki, Vanilla Aparthotel is connected to a shopping center, within a 15-minute drive of ICE Krakow Congress Centre and Sanctuary of Divine Mercy. Featured amenities include limo/town car service, a computer station, and express check-out. Planning an event in Debniki? This aparthotel has facilities measuring 1722 square feet (160 square meters), including meeting rooms. A roundtrip airport shuttle is provided for a surcharge (available 24 hours), and self parking (subject to charges) is available onsite. With a stay at WILLA SENATOR in Zakopane, you'll be steps from Shrine of Our Lady of Fatima and a 3-minute drive from Villa Koliba. Free self parking is available onsite.